What Happens When it’s Time to Say Goodbye? This is a hard post to write. Euthanasia is very difficult topic, and one that none of us want to think about, but it’s something that we, as horse owners, will all have to deal with at some point. 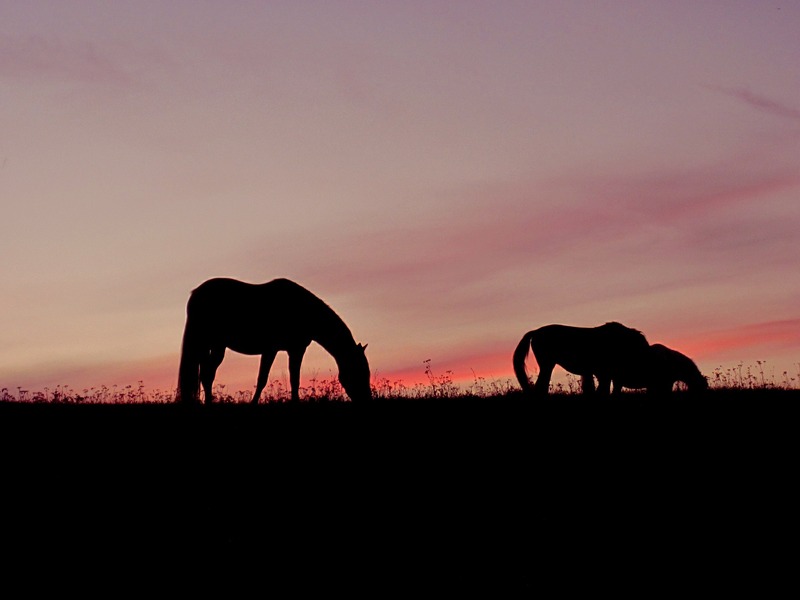 Responsible horse stewardship includes making the decision to say goodbye to our equine partners when the time comes. 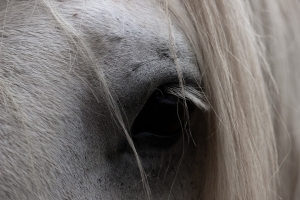 Knowing what to expect, and understanding some of the practicalities of the process, can help us to be prepared to offer our beloved horse companions as pain, and stress-free an exit from this life as we can provide. As veterinarians we get asked this question all of the time. 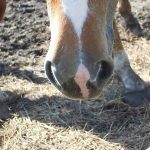 It can pertain to anything from how to deal with a lameness issue, to when it’s “the right time to say goodbye.” The “when to say goodbye” question is arguably the most difficult we – both as horse owners and as veterinarians – have to face. Sometimes it is certainly far more clear cut than others. Emergencies such a broken leg or a very sick or colicky horse can leave horse owners no choice but to end the suffering. On the other hand, the aging horse which is not holding weight or is limping around on a chronic basis can be a far more difficult and nuanced discussion. That is the important part though – the discussion. Part of the conversation that I personally have with clients is that often the horse “tells us.” Their eye may change and become dull. They may start to lack the zest for life which they had years (or even weeks) ago. They may become disinterested in food, or companionship, or just stand and stare off into the distance as they retreat into themselves. It can be different for different horses, but as the person who knows your horse the best, you will probably recognize it. 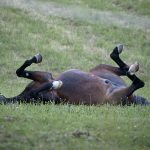 When horses start to have difficulty just being horses, the term “quality of life” comes into play. Defining that concept can be difficult to pin down, but in the end it is the most important piece of the puzzle. As the stewards for our horses, if the quality of life has significantly changed I believe it is our duty to end their suffering. Your veterinarian should walk you through the practicalities, but generally it is done by your veterinarian with a lethal injection. There is no need to move the horse to a clinic or hospital for the procedure. It can be done where your horse lives, in a familiar and reassuring location. If possible it’s good to conduct the procedure in an area that will be accessible by removal equipment or a backhoe, depending on what you do with the physical remains (we’ll discuss that more below). Typically, a sedative is given first via intravenous injection in the neck, to help the horse fall more easily and so the horse doesn’t get distressed as they start to feel sleepy. After this an overdose of an anesthetic type drug is given, stopping the horses’ heart. Sometimes the horse makes involuntary movements, jerking limbs or gasping. Although this can be disconcerting, it is important to remember that the horse is unconscious, and is feeling no pain or distress. The drugs take effect very quickly. Your veterinarian will confirm death, and allow you to have some time alone with your horse if you desire. Once a horse has been euthanized with lethal injection, the body is toxic. It must therefore be dealt with properly. Here in Jefferson County, we have 3 options for the remains: communal burial, plotted burial, and cremation. In all instances an animal removal service is used to transport the body to its final location. This is often referred to as the “rendering” truck, but nothing does in fact go to the rendering plant. Communal burial is a mass grave at a non-visitation location. If you feel that you may want to visit a site in the years to follow, there are plotted burial options. These, and cremation, are significantly more costly, but they are viable options. Because of their size, there are only a limited number of places which can deal with a horse either for burial or cremation, so planning and discussion of what to do with the remains months or even years before can make the whole process run a little smoother. Euthanasia discussions are not easy ones to have, but for the sake of our equine companions, they are a necessary one.